Synopsis: MING is a mole in the police department. 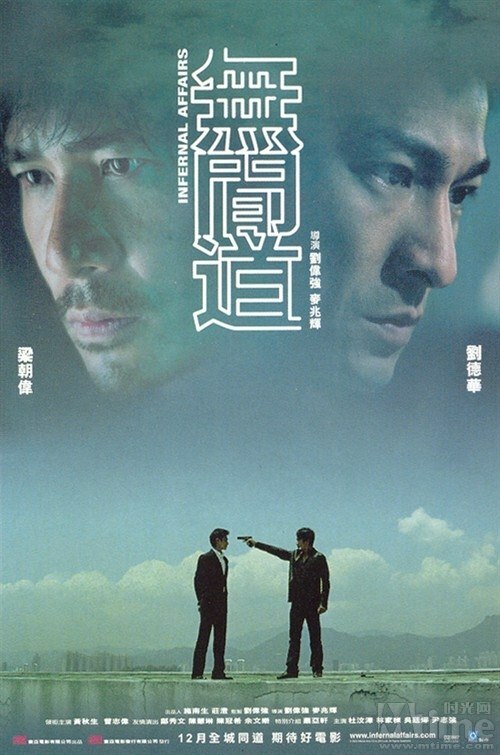 On the command of his Triad boss SAM, he became a cop when he was merely 18. After a decade of hard work, he has become a police sergeant in the Criminal Intelligence Bureau. With the help of Sam who tips him off with intelligence of his Triad rivals, Ming manages to earn kudos from his superiors. After passing a recent examination with flying colors, he has high hope of being promoted to probationary inspector. YAN is a police mole in the Triads. Recruited before he even graduated from the police academy, he was initiated into the Triads as a teenaged underling. During his decade as an undercover, he has been convicted eight times of causing bodily harm to others, jailed twice, and sentenced to compulsory psychological counseling. As a Red Pole, or enforcer, his immediate boss is none other than Sam. Leading parallel lives, Ming and Yan are feeling increasingly trapped in their false surroundings. Wobbling in the inferno between the living and the dead, they are desperate to find a way out. Ming would like to sever all ties with his illegal past and become a real cop. To do so would mean the elimination of Sam. Yan is sick and tired of chopping people up in the name of justice, and is striving to regain his real identity. Only one person can help him: SUPERINTENDENT WONG, the man who recruited him as an undercover. Their curious paths finally cross each other one fateful evening. During a police attempt to topple Sam’s illegal operations, both sides realize there’s a mole amongst themselves. A series of cat-and-mouse chases ensue, as each side is competing to uncover their mole first. To make things even more chaotic, Ming is finally promoted to probationary inspector and is transferred to Internal Affairs. His first assignment is to uncover Sam’s mole in the police department.